BATON ROUGE — McNeese State tailgaters were well-represented at LSU on Saturday. 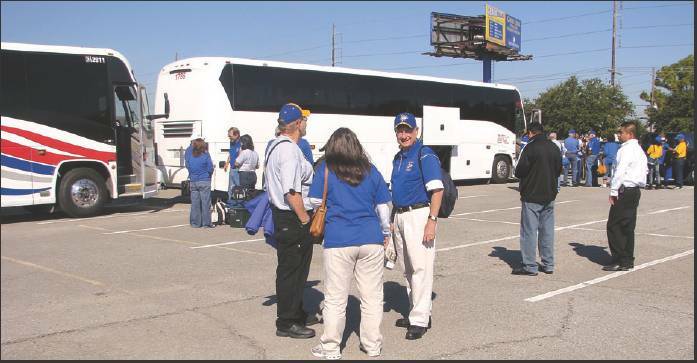 Around 11 a.m., more than a dozen charter buses of alumni left Cowboy Stadium bound for Baton Rouge. Some had split loyalties through the years, cheering for both teams. Ocie McGuire of Sulphur said he usually cheered for LSU, but now that they are playing McNeese, he had to pick his alma mater. LSU’s 32-10 victory marked the first time the teams have played in football because the schools compete at different levels. McNeese and LSU have competed regularly in other sports, including baseball. 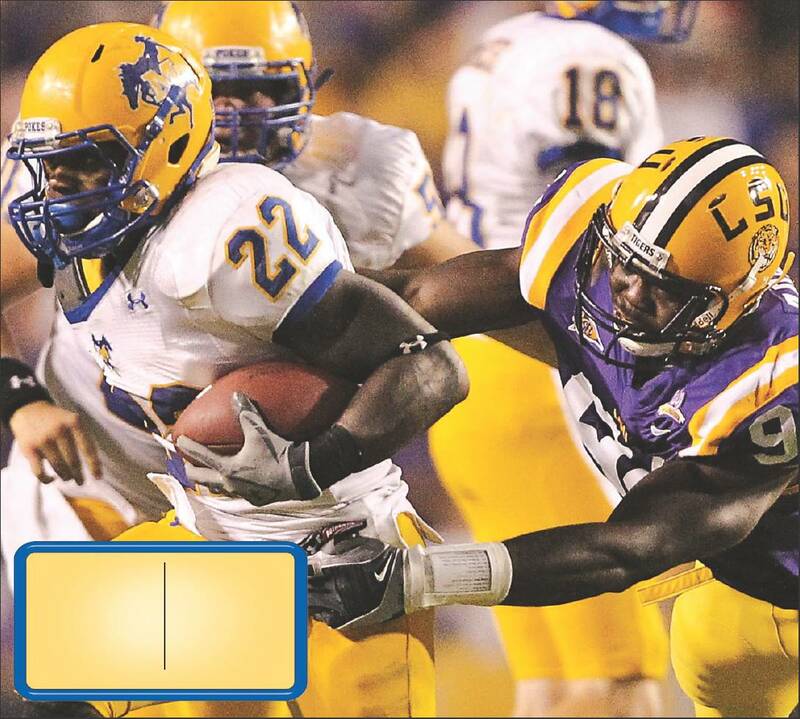 McNeese’s athletic department was guaranteed $405,000 for playing LSU, which was ranked No. 9 in last week’s Associated Press media and USA Today coaches polls. A crowd of 92,576 saw the action, with McNeese selling all 6,000 tickets it was allotted. Walter Eubanks of DeQuincy, an alumni of McNeese and LSU, said he just planned to enjoy the game. “They always played good games in baseball. I think this will be a good football game, too,” Eubanks said. Gregory Captain of Iowa — another dual alumni — and his wife, Annie, said they loved the in-state game. “It’s just a nice gathering for me,” Gregory Captain said. Gary Farber, a season ticket holder for McNeese games, also said he loved the in-state opponent aspect. He and his wife, Theresa, said they couldn’t pass up a chance to go to this game. “Just like when Southern came here (Lake Charles), this game sold out quick and it was a great crowd and a great game,” Farber said. 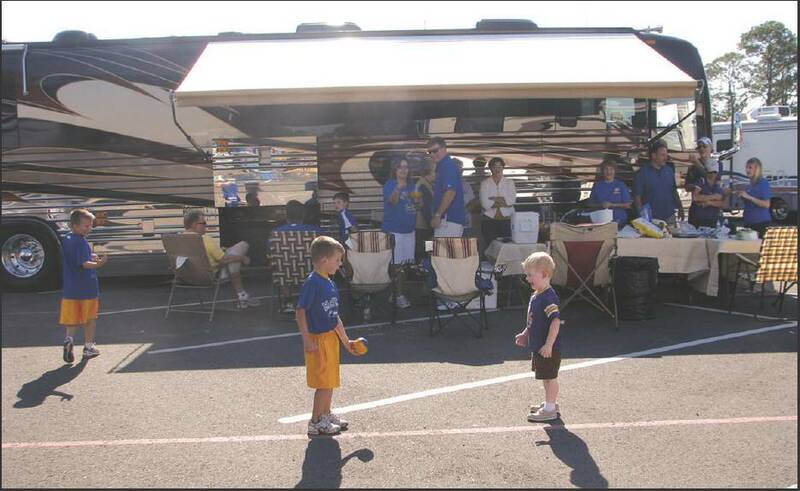 Over at Touchdown Village, where RV owners tailgate just off LSU’s campus, McNeese and LSU fans mingled at every RV. Eva and V.J. Abate of Lake Charles were out with about 25 people. “We usually tailgate for all of the McNeese home games, but my husband was able to get us a spot here for his RV,” Eva Abate said. Former McNeese quarterback Scott Pendarvis was tailgating with a mixed crowd of about 20 people. “I’ve been tailgating at LSU my whole life, and when I went to McNeese, my parents came there,” Pendarvis said. Pendarvis said he hoped the game would serve as a learning experience for the Cowboys, who play football in the Southland Conference. “McNeese is a big underdog, but I think they can use the game to get better. The final score may not show that,” he said. James Marchand of Sulphur was tailgating with his three brothers, all LSU alumnus. He said he is glad the two schools finally played each other in football. A McNeese State University freshman who was critically injured in an auto-pedestrian accident on Monday died Wednesday morning, hospital officials said. Ashlea Richard, 19, of Welsh, was pronounced dead just before 10 a.m. at Lake Charles Memorial Hospital, according to hospital spokeswoman Jamie Gaines. Richard’s family said she was an organ donor. Richard had graduated from Welsh High School in May. “She was a sweetheart. That’s the best word I can use to describe her,” Deshotel said. The accident and Richard’s death have reignited a debate about the safety of crosswalks on and around the campus and students who jaywalk instead of using them. Richard was struck trying to cross McNeese Street, from the freshman parking lot to the main campus. McNeese police on Wednesday issued jaywalking citations on the streets around campus, and more students were seen walking to intersections to use crosswalks instead of trying to cross streets elsewhere. Students have suggested the use of more signs and lighting at crosswalks; construction of a pedestrian overpass at McNeese and Common; and the building of a parking garage, which university President Philip Williams said isn’t feasible in the near future because of funding issues. A McNeese State University freshman was in critical condition Monday after being hit by a car while crossing McNeese Street near the campus, authorities said. 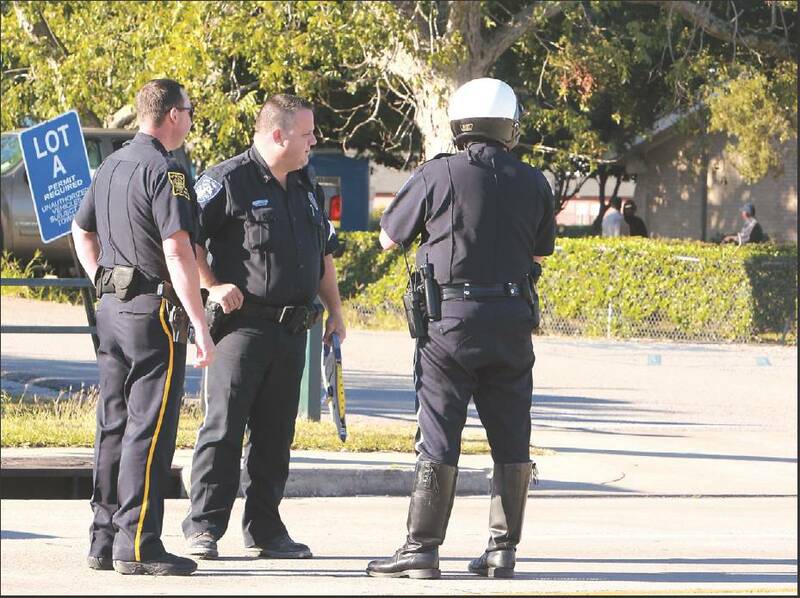 The student, Ashlea Richard of Welsh, was struck at about 7:30 a.m. near Common Street, Lake Charles police said. Police provided no details on the extent of Richard’s injuries. No charges have been filed against the driver, and officers don’t suspect he was impaired. Blood samples for toxicology tests have been taken, Cpl. Jeff Keenum said. Students at a crosswalk on Ryan Street in front of Kauf–man Hall had mixed opinions on their safety when crossing streets near and on campus. Senior David Breland, 25, said he hasn’t had any close calls crossing the streets, but had seen cars try to speed through crosswalks when students had the right of way. The Ryan Street crosswalks have lights in the street and on signs for drivers to see. While talking to Breland, the American Press saw a pickup truck driver — apparently distracted by a cell phone call — slam on his brakes to avoid hitting a student in the crosswalk. Graduate student Pranaya Pokharel, 24, said there is plenty of blame to go around on the crosswalks. “You can’t just blame (the driver or pedestrian). I think both could stand to be more cautious,” Pokharel said. Sophomore Kate Ash and junior Samantha Karraj, both 20, said students crossing McNeese Street often jaywalk rather than use a nearby crosswalk. And while both said there should be lights on the street at McNeese and Common, as well, they said that may not fully resolve the problem. “If it’s midday, the sun makes it hard for drivers to see the lights on the road, and some drivers don’t think they should have to stop,” Karraj said. While the American Press talked to Ash and Karraj, another driver had to slam on his brakes just before the crosswalk. The driver, clearly upset, made hand gestures toward the crossing student, who ignored him. The cooperative team of law enforcement and health care professionals helps treat the mentally ill.
Police work isn’t just for the cops, it’s a communitywide job, said Lt. David Anders with the Lake Charles Police Department. On Friday, Anders received the International CIT (Crisis Intervention Team) Coordinator Award at the CIT International Conference in San Antonio. The 26-year veteran helped develop the local program. On the law enforcement side, officers and deputies take a 40-hour training course to learn how to identify and safely deal with people with various mental illnesses. In his current position as CIT coordinator, Anders said he serves as a single point of contact for police, mental health and medical officials. His counterpart at the Calcasieu Parish Sheriff’s Office is Cpl. Darek Ardoin. “We mainly try to make sure each agency has what it needs, and we put training sessions together,” Anders said. On the medical side, Lake Charles Memorial Hospital’s emergency room and mental health department operate a triage unit that includes overnight observation and has doctors, mental health specialists and registered nurses on call 24 hours a day. Anders said this is a better alternative than locking up a person who needs medical treatment. It’s been an up-and-down journey for the department and the program. Anders has been involved in planning and implementation of the program from its beginning in 2004. The push to start up the program was the result of a tragedy. Lake Charles Police Chief Don Dixon had attended a conference in Memphis, Tenn., where the CIT concept was developed. “He asked me to look into bringing the program to Southwest Louisiana, and as we were doing that we had the shooting with Mr. Ned at the high rise,” Anders said. In the November 2004 incident, Edward Ned Jr., a mentally ill man, was shot and killed by Lake Charles police during a standoff in which he reportedly attacked an officer with a knife. “That kind of brought everything back to light,” Anders said. Anders, Ardoin and local mental health advocates attended the Memphis Police Department’s training program. “We brought everything back to Dr. (Cameron) Melville in McNeese’s psychology program and asked him to help us replicate the training,” Anders said. As Dr. Melville mapped out the training for officers, Hurricanes Katrina and Rita hit, setting everything back about 14 months, Anders said. In October 2006, one month before the first CIT training class took place, a second mentally ill resident was fatally shot by a police officer. Trent Buckins, 29, was shot in front of Reynaud Middle School. The involved officer, then Cpl. Kimberly Almirall, claimed Buckins lunged at her gun. “So now we’d had two uses of deadly force by us on mentally ill individuals,” Anders said. The first class, with 14 officers from the Lake Charles Police Department and Calcasieu Parish Sheriff’s Office, began the following month. Since then, McNeese has held 12 classes and trained more than 300 officers from agencies throughout Southwest Louisiana. “We have made it available to any agency in the state who wants to send people,” Anders said. Dispatchers go through an eight-hour course on how to handle calls about someone who is suicidal or mentally ill. The triage center was set up at Lake Charles Memorial with a $5.4 million federal block grant. It paid for the assessment and 23-hour observation unit for three years, after which officials hoped the state would take over. Those hopes were dashed as the state faced a nearly $600 million budget shortfall because of declining revenues. From June 2009 to February 2010, the unit was inactive, leaving police to revert to what Anders described as a revolving door for the mentally ill. Subjects would be taken to a local hospital to be treated and released. “Our other choice would be to lock them up or take them to family members,” Anders said. Even though the current program faces funding issues, mental health advocates said the program needs to expand, adding social workers to perform follow-up work and offer transitional housing, education and job training. In February, the Calcasieu Parish Police Jury approved $500,000 that — with another $200,000 from the state Office of Mental Health — should keep the unit open through September. While the program remains on shaky ground, Anders is immensely proud of his work. The program has received national acclaim, and the state Department of Health and Hospitals uses Lake Charles as a model for crisis receiving centers. Anders also said the program has had a significant influence on the police department. “When I started in law enforcement, the mindset was that no one outside of the department could tell me how to do my job, but now we’ve brought everyone together: police, mental health specialists, pastors and educators,” Anders said.